We took a road trip to Squilax a couple of weeks ago to check out the ‘Salmon Salute’. 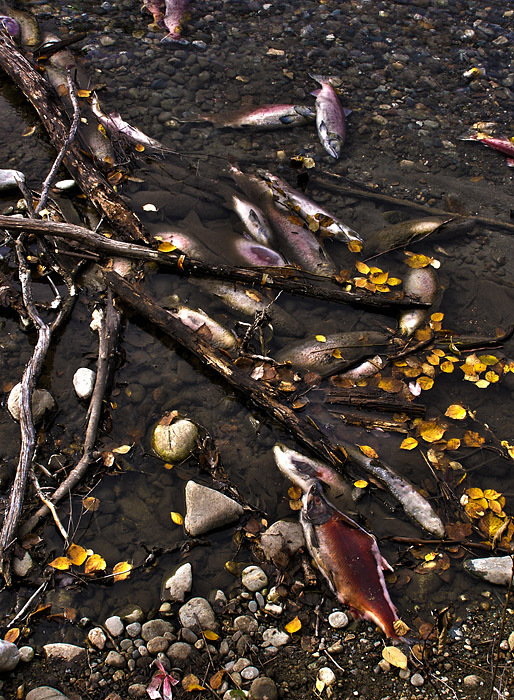 It’s an event that occurs every year, but increases in magnitude significantly every four years due to the lifecycle of the salmon. 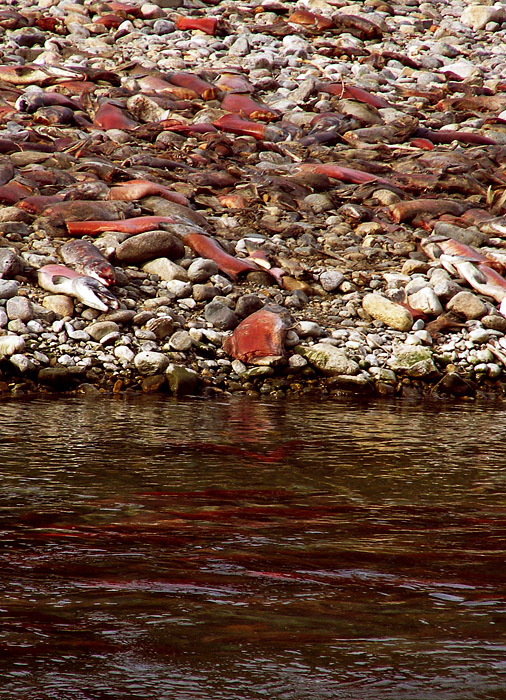 Hundreds of thousands of salmon swim upstream to their original spawning grounds to breed, and ultimately die. 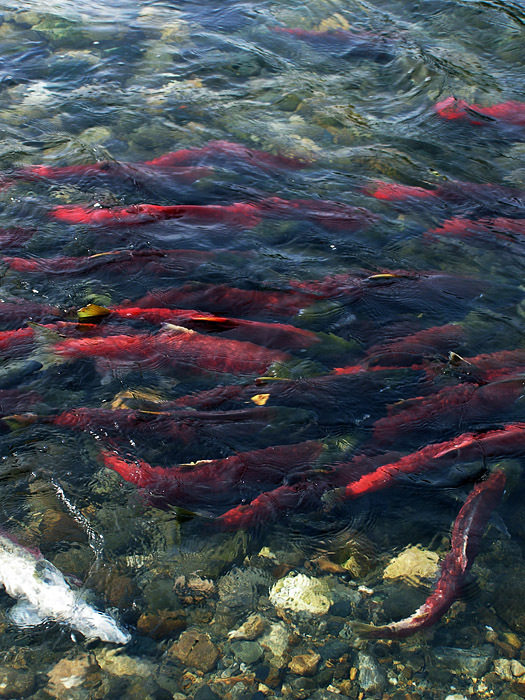 Interesting fact: due to railroad construction, the spawning channels were almost blocked, significantly impacting the breeding capabilities of the Sockeye salmon. 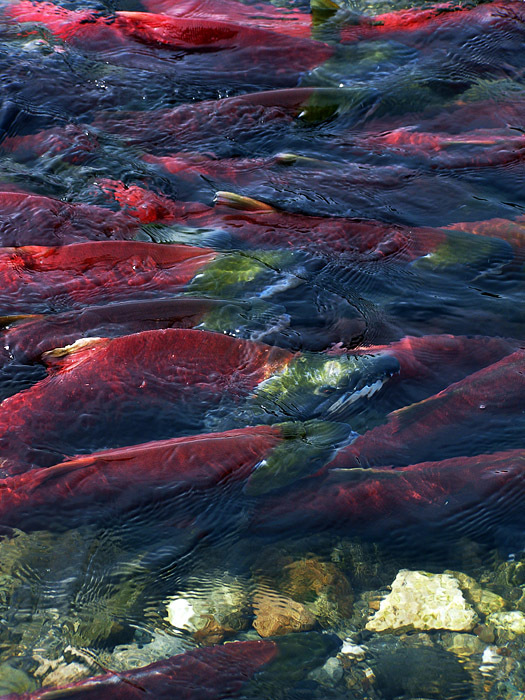 Man-made spawning channels have since been constructed, allowing the fish to swim upstream with ease. It was a pretty spectacular sight, and a pretty spectacular smell. 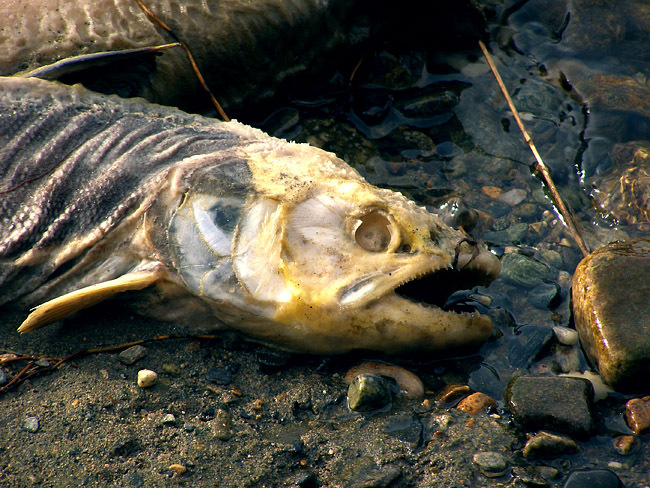 Imagine thousands of rotting fish lying in the sun – not very pleasant. I hope this guy got to spawn!